Shah Jahan is shown in an idealized fashion, with the holy nimbus, or halo, encircling his turbaned head. And the royal spear establishes him as the defender of the realm. The fashion of depicting the ruler with a halo is seen from the period of Jahangir onward in Mughal art, when increasingly formalized portraiture came to characterize Hindustani court art. 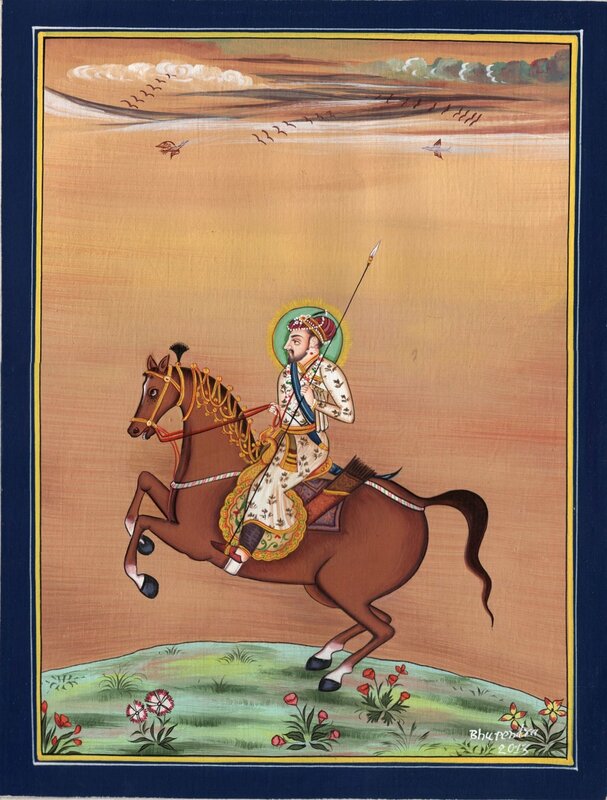 The designer quality representation of Shah Jahan is done on cotton with opaque watercolors. This superb art of Shah Jahan belongs in your art collection or home decor. Don’t miss out. Buy Now and bring home a piece of Mughal history.